A key component of NSEE’s mission is to enhance the professional development of its members. Another component of the mission is to be the national leader in advancing experiential education as a field and a profession. To accomplish both aspects of this mission, NSEE created the Experiential Education Academy, often referred to as the EEA or the Academy. Since its inception, several hundred faculty and staff from dozens of higher education institutions have been completed the EEA certification. To support members as they assess their institutional experiential programs to ensure that they meet the Principles of Effective Practice. 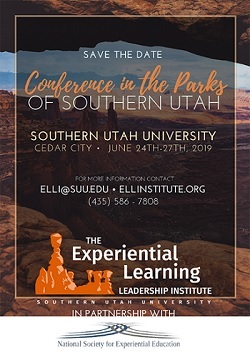 To create opportunities for members to develop the knowledge, skills, and competence that will strengthen experiential education within their institutions. NSEE's signature professional development series has recently undergone significant exciting revisions. This new curriculum maintains its grounding in theory with effective practical application to real world environments while adding significantly more active learning during sessions and a variety of workshop modalities. The new flow of the EEA includes a recommended sequence of workshops such that later learning outcomes and content are built upon earlier content. All practitioners can benefit from the most current trends in issues affecting all aspects of experiential education, such as assessment and legal issues. All practitioners can benefit from the community of scholars and practitioners focused on all aspects of experiential education who gather under the NSEE umbrella. The NSEE Experiential Education Academy is an ideal catalyst for institutional transformation towards a culture that highly values experiential learning and seeks to strengthen experiential education across the institution. In fact, the EEA has been delivered as a key piece of several institutions' accreditation plans, such as QEP for colleges and universities in the Southeast. Presently, EEA Workshops are offered each year as part of the pre-conference offerings. In addition, regional workshops hosted by institutional partners may also be open to individual participants. In the future, there will be online options for some of the sessions. Continuous NSEE members who wish to participate in the Academy must submit an application of interest to NSEE. Once done, they are registered in the Academy. There is no fee attached to this application. Please click here to download the application. All experiential education professionals are invited to explore the possibilities afforded by the Academy. Information is available here or by contacting NSEE directly at 856-423-3427, or by email at [email protected]. The NSEE Board of Directors and Experiential Education Academy Committee invite EEA graduates and other members to consider becoming a faculty member in the Academy. EEA workshops are held regionally throughout the year and at NSEE’s annual conferences. Individuals who have content expertise in one or more of the workshop areas and excellent facilitation skills have an opportunity to play an important role in implementing NSEE’s mission to advance experiential education and contribute to the professional development of colleagues in the field. Individuals interested in learning more about becoming an EEA faculty member, please click here to download the application. Applicants who are accepted as faculty members will be asked to shadow an experienced faculty member in a workshop before facilitating that workshop independently. They will also be partnered with a lead faculty member to provide guidance and coaching. Finally, they will be provided with a template for the workshop to enhance consistency of content across facilitators. If you would like more information about becoming an EEA faculty member or have questions about the application process itself, please contact Al Cabral at 585-389-2395 or [email protected]. Thanks very much for your contribution to NSEE.